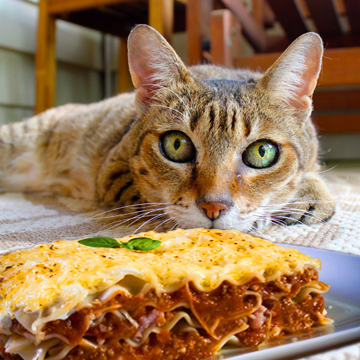 Once again, Crissey Farm will dish up delish slices of lasagna to benefit the homeless cats at Purradise and Berkshire Humane Society. On April 4th, please join us for meat and veggie lasagna, salad, bread and a cash bar, as well as select and 50/50 raffles. It’s a family friendly event in a beautiful venue for a wonderful cause! Crissey Farm is located at 426 Stockbridge Rd., Great Barrington. Dinner will be served from 5:30 p.m. to 8:00 p.m with an early bird special from 5:00 p.m. to 5:30 p.m.
Berkshire Humane Society is a 501(c)(3) nonprofit, open-admission animal support organization. Our mission is to ensure the compassionate care, treatment and placement of companion animals, while promoting and improving the welfare of all animals through education and outreach. Vision Statement: Compassionate and responsible care for all animals. Copyright © 2019,	Berkshire Humane Society, unless otherwise noted.